The courts are the judicial branch of government, a co-equal of the executive and legislative branches. The Bradford County Courts are courts of general jurisdiction and are part of the Pennsylvania Unified Judicial System. General jurisdiction means that our court handles criminal, civil, family court, orphans court and juvenile matters. The Court of Common Pleas is also the court of appeals for magisterial district court decisions as well as Pennsylvania Department of Transportation license appeals and local agency appeals. Our judges hear all types of matters listed above. We have a full-time hearing master who hears juvenile and family court cases.We also appoint special masters to assist with our family court caseload. 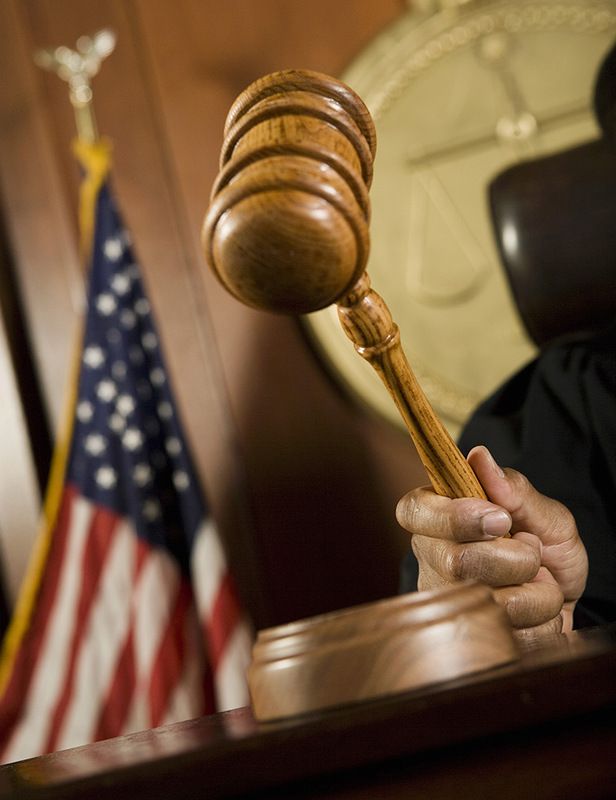 Our court system operates on a continuous calendar.This means that court is in session throughout the year and jurors are summoned for each trial week.The daily court calendar is available for viewing by clicking on http://ujsportal.pacourts.us Public information regarding criminal cases is also available through this website link. Our personal court staff consists of a district court administrator, deputy court administrator, a court reporter/judicial secretary and four court monitors/judicial secretaries, a court administrator’s secretary, two law clerks and a tip staff. Bradford County Local rules can be viewed by clicking on the Court Administration tab and then click on “Documents & Forms”. Judge Beirne grew up in Athens, Pennsylvania. She graduated from Athens Area High School in 1980. She obtained a bachelor of science degree in chemistry from Spring Hill College, Mobile Alabama in 1984 and her law degree from Syracuse School of Law in 1988. Thereafter, she joined her father, the late Attorney Robert J. Beirne, in his private general practice of law in Athens where she practiced law with her father until he passed away in 1995. She continued in the general practice of law in Athens through October, 2008 when Governor Rendell’s appointment of her to the bench was confirmed by the Senate. Judge Beirne obtained extensive experience in all areas of the general practice including but not limited to criminal, family, wills and estates, real estate, workers compensation, personal injury, business and corporate, municipal and zoning law. For many years, she served as Bradford County Child Advocate. Her professional memberships included Pennsylvania Criminal Defense Attorneys Association, Pennsylvania Trial Lawyers Association, Victims of Crime and Victims of Juvenile Offenders Local Policy Board, Pennsylvania and Bradford County Bar Associations. She is a member and lecture of St. Joseph’s Roman Catholic Church; a member of the Board of Trustees for Sayre Public Library and Tioga Point Museum. She also served on other non-profit Boards over the years such has Valley Economic Development Association, Penn York Opportunities and Greater Valley EMS. Judge Beirne and her husband, Max Gannon reside in Athens.